In classical Greek mythology, ERACLE (HERCULES) is the hero of extraordinary feats who reaches divinity, thanks to his physical and moral abilities. In fact, his father Zeus gave him the gift of eternal youth. Resistance, harmony and balance are the acknowledged qualities of things made to last. This is why Alea ERACLE Executive Office Desk is already a classic. It is a blend of design and research into innovative materials: this can be seen in its aluminium legs with a special profiled shape. This ERACLE executive desk includes integrated cable management and a projected cantilevered conference meeting end. The top comes in a variety of finishes including: wood melamine, wood veneer, embossed & upholstered leather. 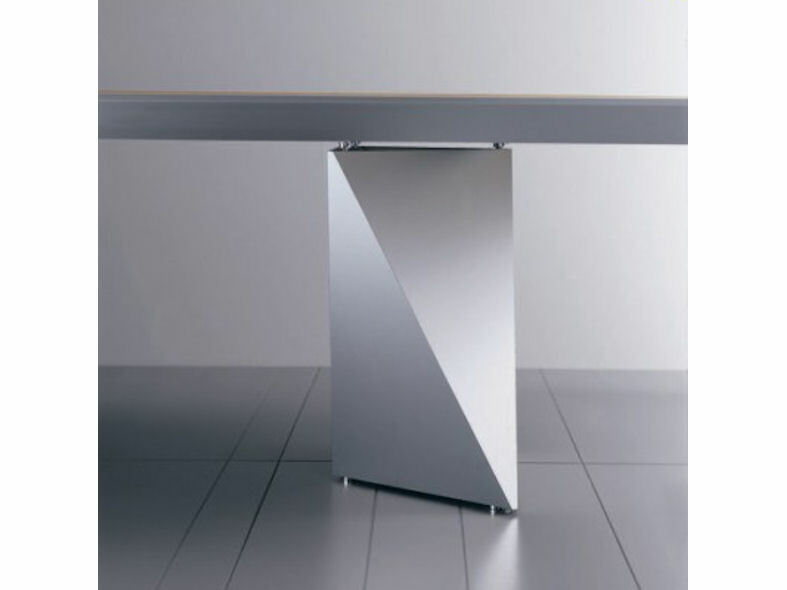 The structure is in a silver satin aluminium finish. ERACLE adds Light Oak and Dark Oak to its range of wood finishes. The open-pore finish gives the surface a new warm material quality and lets us enjoy the pure features of wood: soft to the touch with a natural finish. 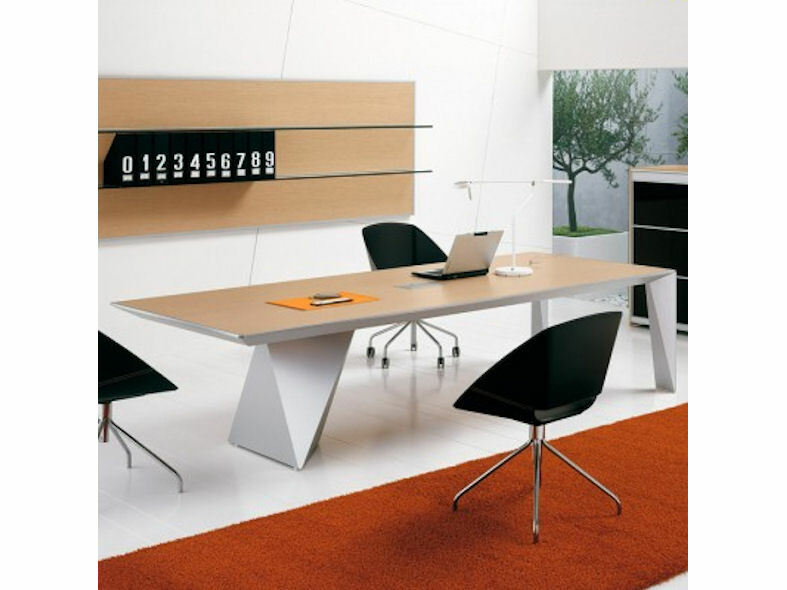 ERACLE meeting tables stand out with their striking design. They fully meet the requirements of a meeting room capable of welcoming its guests with refinement, elegance and warmth, thanks to the comforting presence of wood combined with unique and innovative styles.